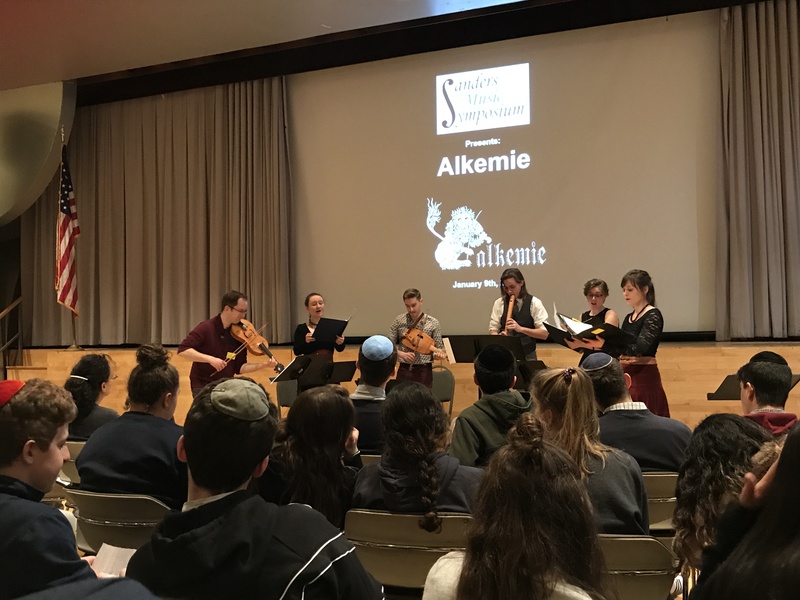 Juniors were treated to a special performance by Alkemie, an early music ensemble specializing in Religious and Folk music of the Medieval and Renaissance. Students in the Junior Music curriculum were treated to live performances of some of the pieces they have studied in class. The audience also learned about early music instruments and how they differ from their modern counterparts. This program was sponsored by the Martin and Susan Sanders family foundation for classical music enrichment at Ramaz.